Medium-deep in colour and with a terrifically elegant nose, this has hauntingly fine fruit, which is nicely supported by the oak, that goes to every corner of the mouth. Showing real persistence, this will be wonderful to drink over the next ten years. Domaine René Engel was one of the leading lights of Vosne-Romanée until the tragic death of Philippe Engel, grandson of the founder, in 2005. Philippe took over the domaine on the early death of his father Pierre in 1981. However he continued to benefit from the advice of his legendary grandfather, René Engel, for several years, though occasionally having to ban him from the cellar when his interventions were becoming too intrusive. By the early 1990s he had established his reputation for making exceptionally delicious wines. He had a light hand with extraction, preferring to emphasise the natural qualities of the fruit, supported by the judicious use of new oak – rarely more than 50% except for the grand crus in exceptional vintages. The wines were fine and elegant, deceptively approachable when young though capable of long ageing. Perhaps the heyday of Philippe’s period in charge was around 1992 and 1993, by which time he had fully found his style and was running the domaine with energy and passion. The flagship of the 6 hectare domaine was a wonderful Clos Vougeot from near the top of the Clos, along with a very fine Grands Echezeaux. 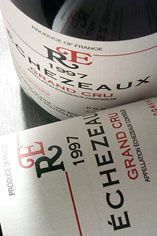 These were supported by a third grand cru, Echezeaux, premier cru Vosne Romanée Les Brulées and a delicious village Vosne Romanée. Five wines were made: a village Vosne-Romanée from numerous plots totalling 2.5 hectares; a premier cru Les Brûlées (1.05 hectares) from old vines, the youngest being planted in 1956 by a combination of René and Pierre Engel who somehow did not quite get their rows to meet; and three grands crus, Echézeaux (0.55 hectare), Clos Vougeot (1.37 hectares) and Grands Echézeaux (0.50 hectare). 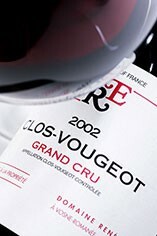 It seemed to vary according to the year which of Clos de Vougeot and Grands Echézeaux turned out to be the finest wine. 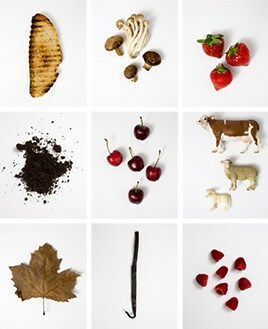 Both were usually outstanding, and a clear cut ahead of the Echézeaux. The Clos came from a single plot, very well situated on the upper-mid slopes just south of the château itself. The domaine was sold to Francois Pinault (of Château Latour fame) and is now known as Domaine Eugénie.